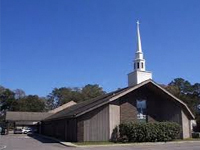 Revitalize and energize spiritually with one of Beaufort’s houses of worship. Serving all denominations, the town’s churches and synagogues provide an uplifting atmosphere where you can practice your faith. Beaufort’s warm and friendly congregations will welcome you with open arms.